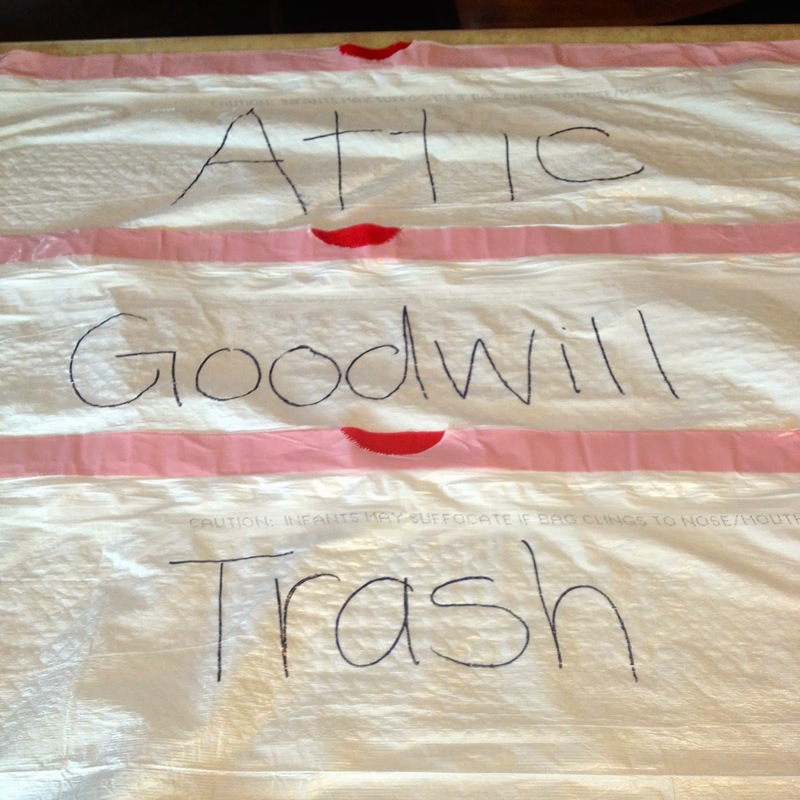 Cleaning out closets is, hands down, one of my favorite activities in life. I understand that sounds a little ridiculous BUT I also know I can’t be the only one who loves to do this. I just find it very calming. And when I see an empty Saturday coming up on my calendar (which happens about twice a year), I just look so forward to it! And yes, I use up an entire day (or at least half of it) to do this. 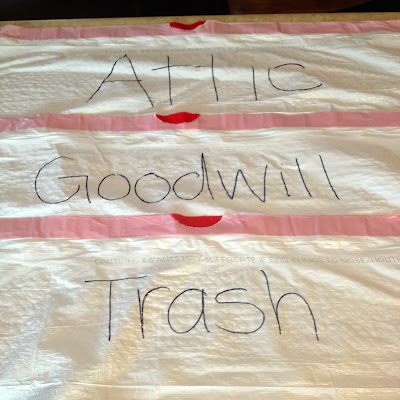 Cleaning out closets is an event and should be treated as such! I promise that the final result is totally worth it! 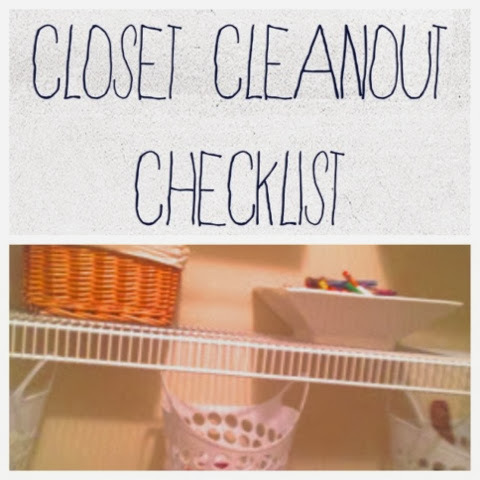 One thing that I’ve found very helpful is to have a plan for each closet ahead of time. What do I need to put in these closets, anyway? And what’s in them now? 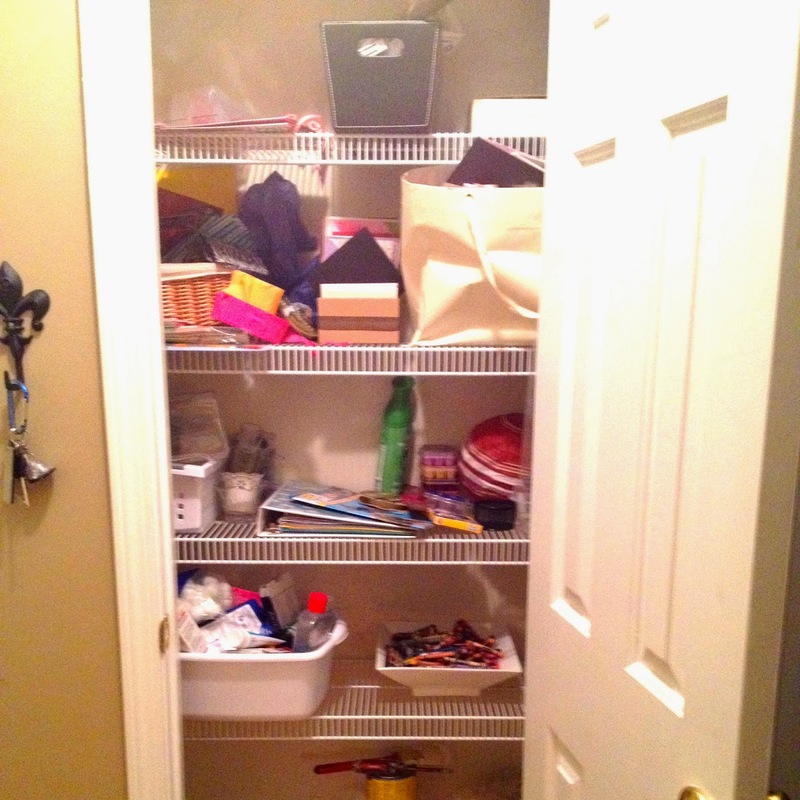 Am I storing stuff that could be moved to the attic (or the Goodwill)? 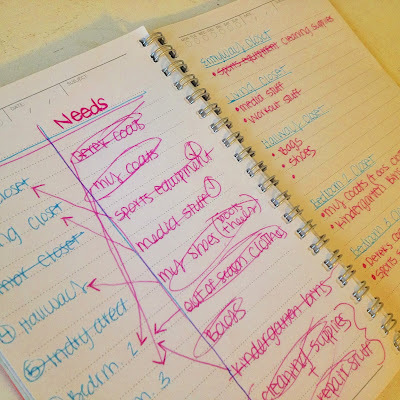 I make a list out of this and put my plan down on paper before I even start moving anything. Giving each closet a clearly defined purpose really helps me keep them in order. For whatever reason, light is a big deal when it’s closet-cleaning-out-time. I mean, this stuff is taking up room in my house… I need to be able to get a good look at it and decide whether it deserves to be there or not. When I pull all that stuff out of the dark and look at it in the light, sometimes it’s just like “why do I even have this?” and that is the most productive thing that could happen in this situation! Well, I can’t get anything done if everything around me is not screaming “project day”; so I turn up the music, throw on some yoga pants and tennis shoes, and toss my hair up in a pony. And yes, I count this as my exercise for the day. 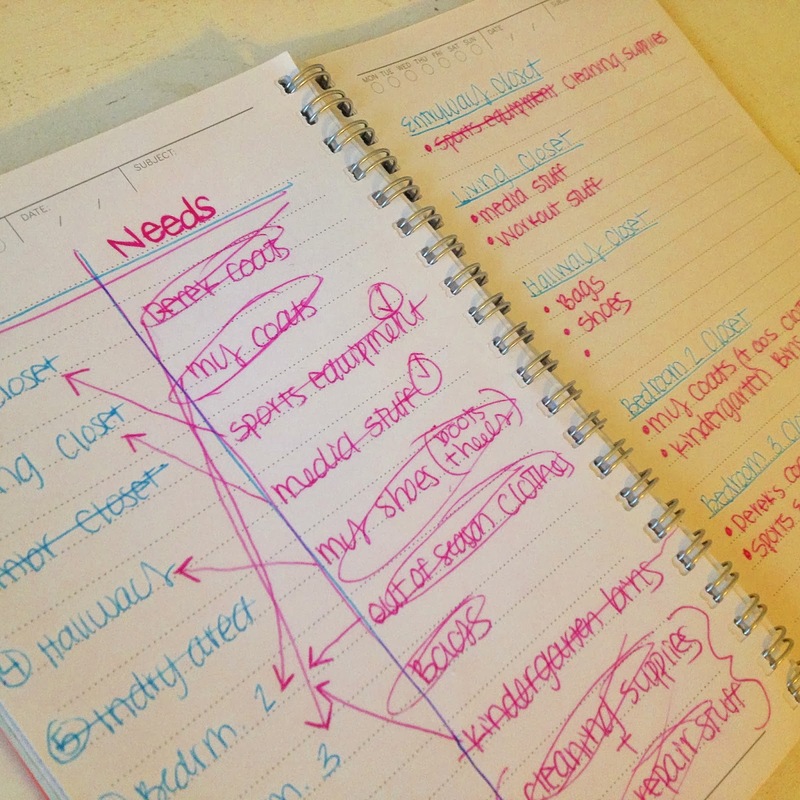 Two things off my to-do list in one organizational activity? Yes, please! And that’s it. Every time I do this, there is less and less to do and it takes less and less time. 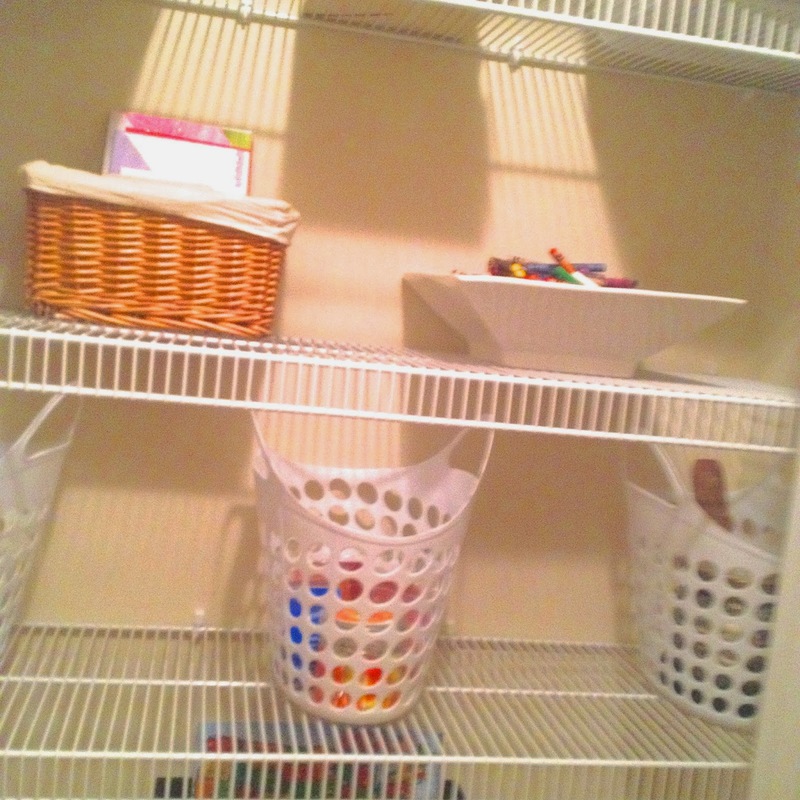 And I just LOVE the feeling I have when my beautiful clean closet stares back at me when I’m finished. 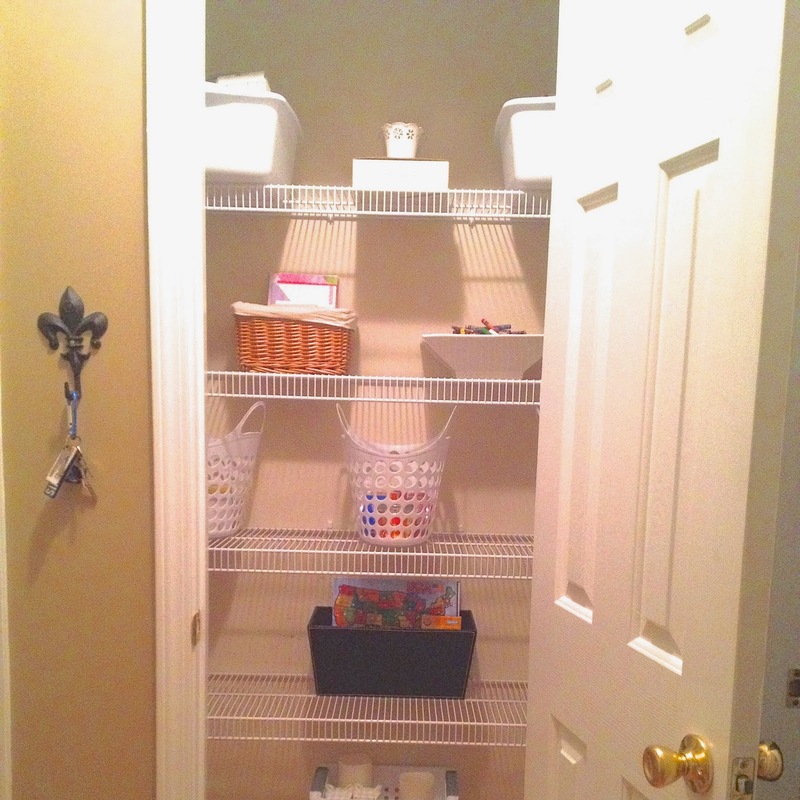 Do you have an awesome system for organizing closets or any other small spaces?